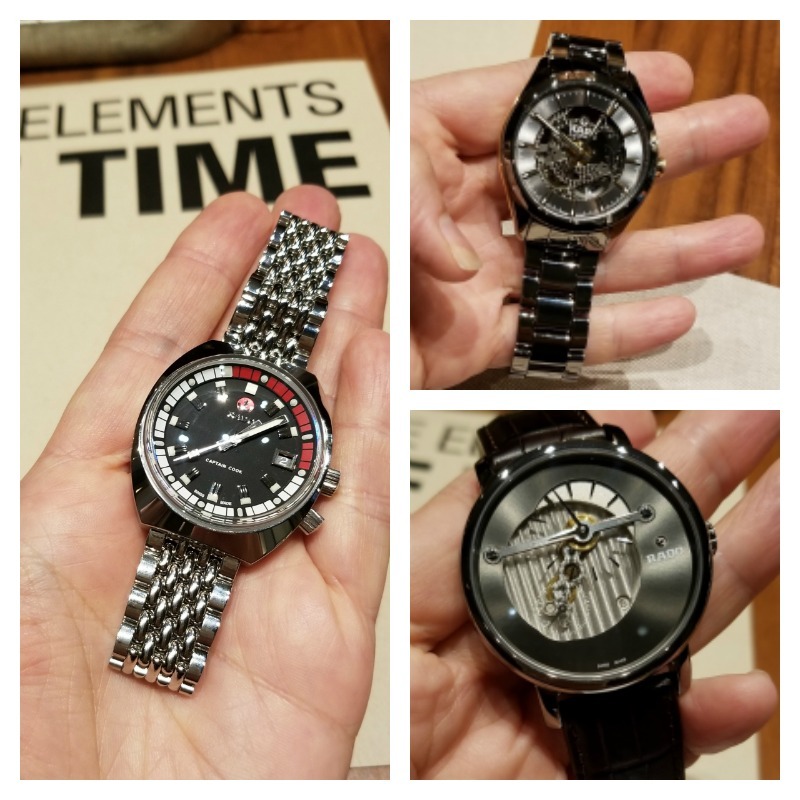 While it may have been rainy outside, it was cozy inside Fairmont Hotel Vancouver’s Notch8 when I sat down with Rado watches Brand Manager Celine Cano. The intimate setting was a welcome mid-day change from the Champagne-fueled presentations favoured by luxury brands. 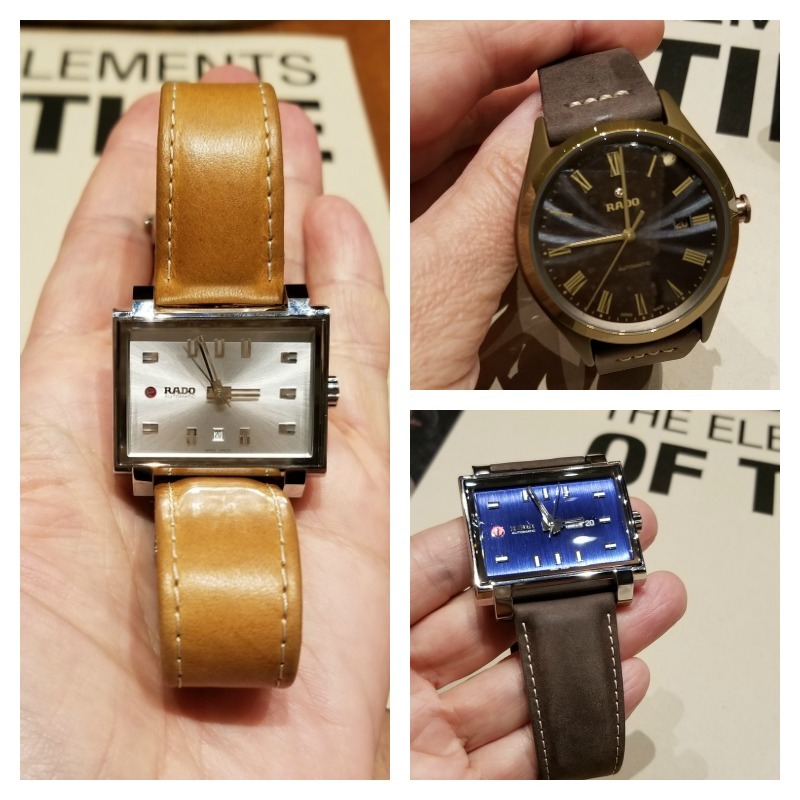 Cano charmed me as she presented Rado’s 2018 Collection of Swiss watches over a hot pot of chamomile tea. Creatively displayed on a bed of moss, the earthy coloured time-pieces resonated with the company’s innovative use of new high-tech materials and celebrated diversity and versatility within the latest offerings. The pieces were irresistible and although the bands were sized large, I tried everyone one of them on! Each was light-weight and pleasing on the eye and the wrist. Launched at the 2018 Baselworld this collection includes the standout Rado Tradition 1965 (above) with its unmistakable geometric design. Incorporating elements such as rectangular hour and minute markers, a squared day-date complication window, and the iconic Rado red anchor at 9 o’clock, this piece is retro-gorgeous. This celebration of 1960 design was inspired by the Manhattan skyline and is limited to 1,965 pieces and a diamond encrusted case and dial which will be limited to just 65 pieces. The Rado True Thinline Bronze (below) reflects the company’s avant-garde approach to design and materials with its sparkling bronze dial with curved sapphire crystal and matte brown high-tech ceramic case. Light on the wrist and complimentary to Fall/Winter wardrobes, this piece had difficulty making its way back to its’ mossy bed! Thankfully Cano was able to distract me with another beauty – the luminescent Rado True Thinline Nature. 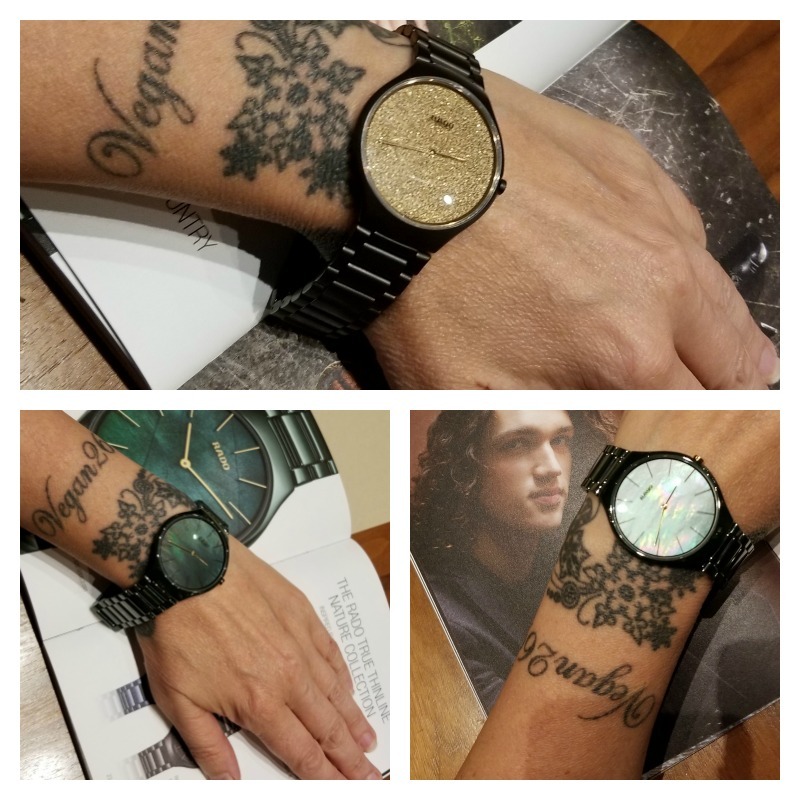 This beauty is the glorious result of a creative partnership with Grandi Giardini Italiani, an organization that promotes the rich heritage of magnificent Italian gardens, that shimmers with mother-of-pearl dials in taupe brown, deep midnight blue, and verdant green. Recently, in early October, Rado presented its ‘Design Inspired by Nature’ Exhibition at IDS West. 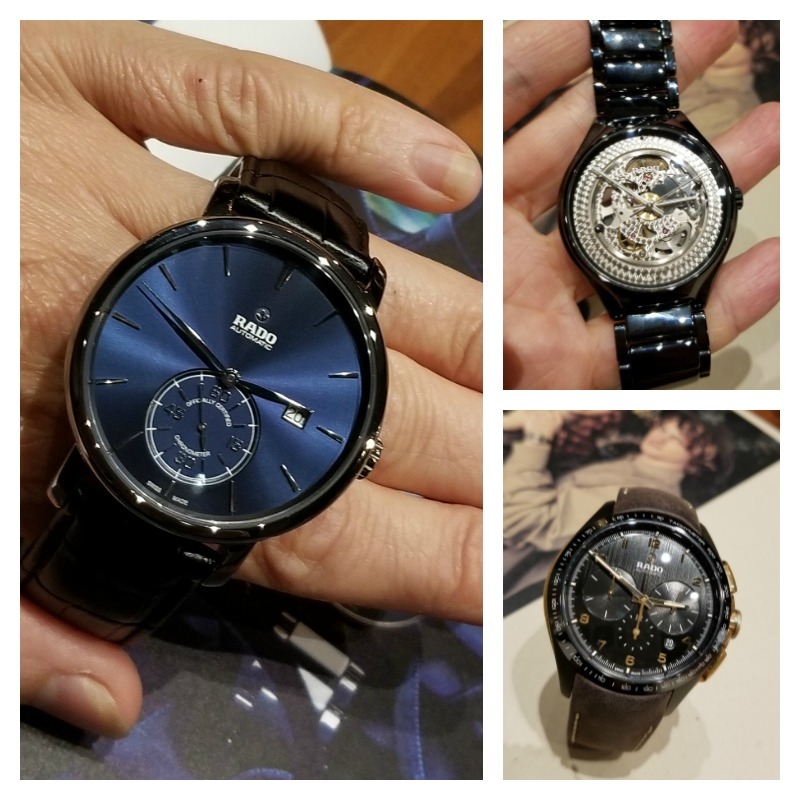 The exhibition included models from Rado’s latest collection including the new True Thinline Nature collection. As part of the event, three finalists of the special ‘Design Offspring Contest’ run in collaboration with IDS had their concepts displayed within Rado’s installation. The winning team was awarded $10,000 to create their concept, which will be featured at the upcoming IDS Toronto event in January 2019. 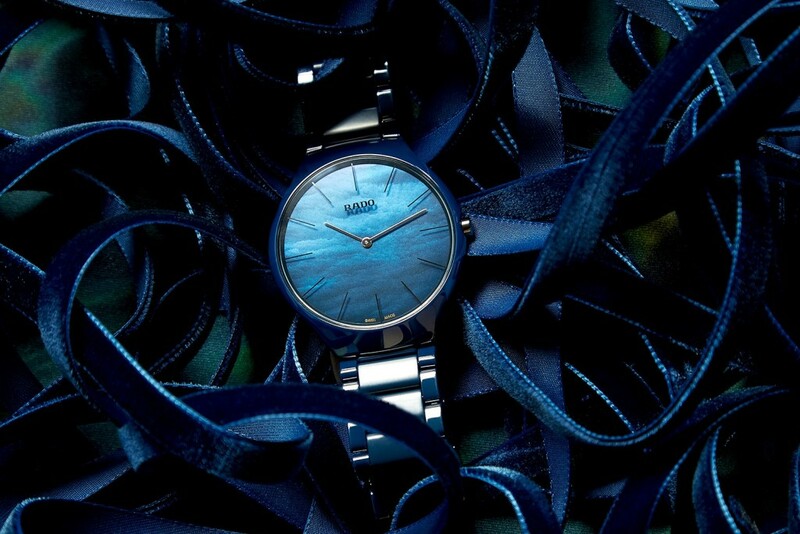 The international appeal of the Rado brand is reflective in the company’s choices of Brand Ambassadors. Award-winning Chinese actress Tang Wei, Bollywood star Hrithik Roshan, model, and actress Lisa Ray, top women’s tennis player Agnieszka Radwanska, and Russian stage and screen star Yulia Peresild, all travel the world repping Rado. Diverse, strong, and beautiful. This month Rado is at Vienna Design Week with its Rado Star Prize competition which showcases the work of –up-and-coming design talent. This year’s boutique is hosting a pop-up installation featuring work by designer duo KIM+HEEP with a motif of self-reflection inspired by the concept of selfies and self-expression in social media. Rado is a globally recognized brand and ever since its beginnings in Lengnau, Switzerland, Rado has been a timepiece pioneer, with the brand philosophy “if we can imagine it, we can make it” still holding true today.